Hi babes! 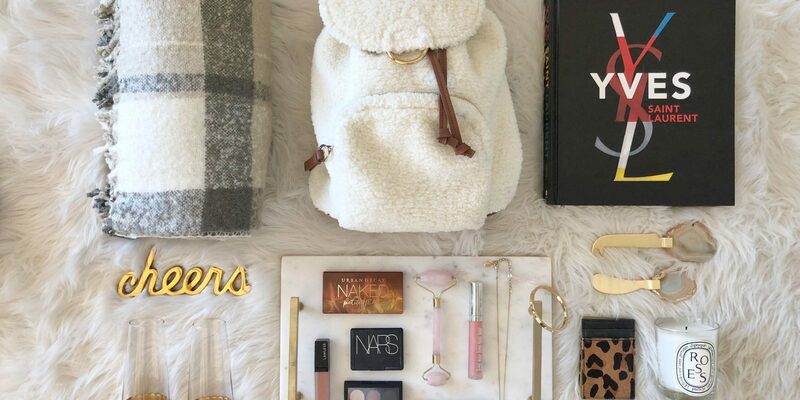 I asked to see what kind of gift guides y’all wanted to see this year on my Instagram and many of you requested ideas under $50. 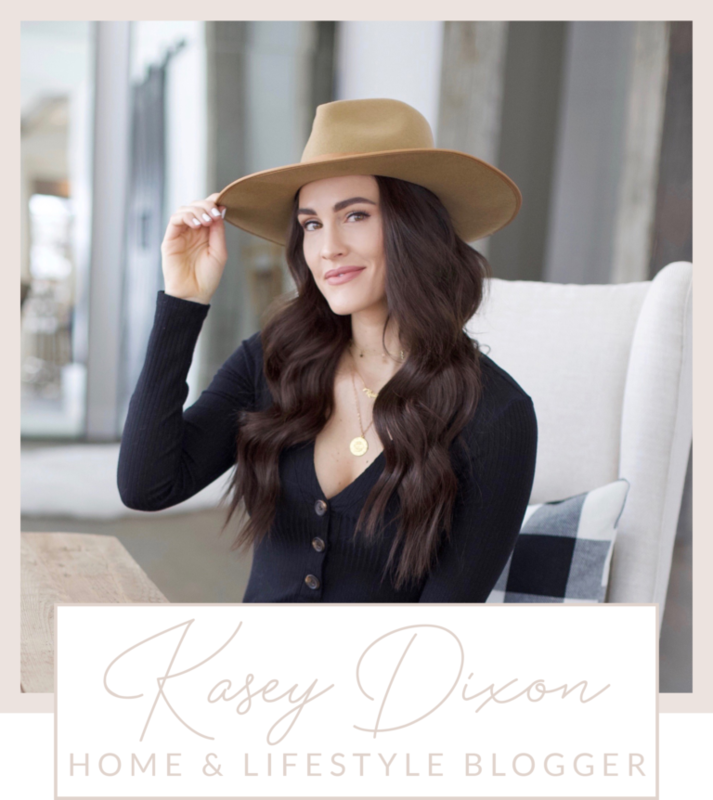 Today I’m sharing my favorite options from jewelry and bags to home goodies, beauty, must-have travel items and more. No matter what your gal pal, mom, sister, etc. is into, there’s an option for her! 3. Skin – I LOVE this category as there are so many fun things to give! I’m very into skincare, self pampering at home and when it comes to the new year, many people are trying to put their best foot forward. So let’s give ’em something that makes them feel GOOD! I would recommend a rose quartz roller paired with a few masks for a fun spa-inspired gift! 4. 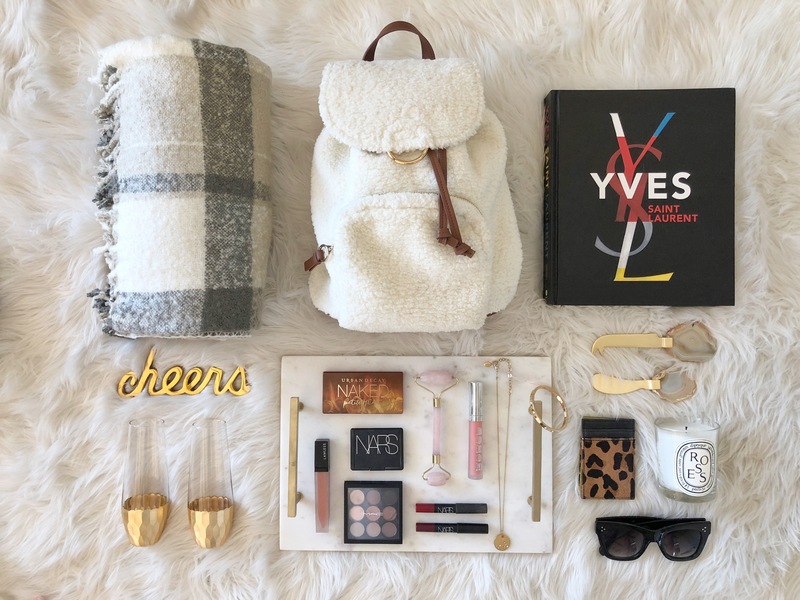 Travel Essentials – if your recipient is someone that travels a lot AND likes to be organized, I’ve got the perfect gift idea for you! Put together a lil’ present of a toiletry set, bag tags and eye mask. She will now be traveling in style! 5. Tech – now-a-days, everyone is pretty much considered to be a “techie”, with their smartphones, computers, cars, etc. I have THE best idea for the person that is all ’bout technology – a new phone case, charger organizer and blue light blocking glasses (only $29!). YAS, YAS and YAS. Together, these three items make for an awesome gift! I just purchase the glasses and already love them as they help combat eye fatigue and help to keep your sleep cycle on-track. Your recipient’s phone can get an outfit makeover, their cords organized all while keeping their eye balls healthy! Who does’t want that?! See below for my top picks from all of my categories!! Happy gifting! Share the post "Gifts Under $50"